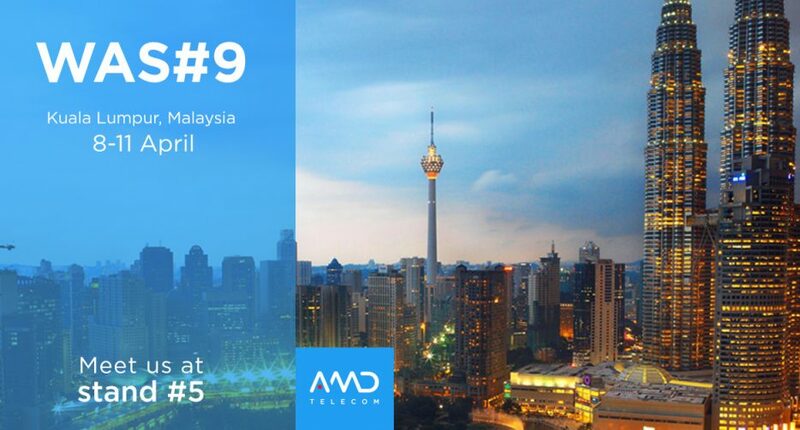 GSMA WAS#9 — AMD Telecom S.A.
We are glad to announce our sponsoring and participation at GSMA’s Wholesale Agreement &Solution #9 event. The event will take place between 8th and 11th of April, in Convention Center of Kuala Lumpur, in Malaysia. The event will address GSMA members matters related with Mobile Operators and GSM service, as it is one of the most important gatherings of the industry. Don’t miss out on the chance to meet with our team at stand #5 during the event and talk all about our A2P Monetization, SMS & Voice connectivity and Roaming services, our Number Validation and SS7 Firewall products!